A group of experienced, accessible, and knowledgeable individuals that together make up a strong and complete team. At Capital City Oil, we are very proud of our entire team. Being in business for over 60 years can be directly attributed to the dedication and contributions throughout the years of every member of our team. A stability that has given us consistent company leadership. Having years of industry experience that allows us to be both a leading supplier in our area and a nationwide thought leader in our industry. An extremely educated team – from top to bottom. A level of pride in our company that translates to the products and service we provide. A comprehensive understanding of the equipment, products, fluids, programs, and solutions needed to keep our customers’ operations running smoothly. Marvin was born and raised in Topeka, KS. He was graduated from Topeka High School in 1974. After driving a truck for two years, he attended John Brown University in Siloam Springs, AR where he met his wife Debbie of now 40 years. After graduating with a General Business degree from JBU he worked for Youth for Christ International as Director of Camps, Conferences and Ski Trips for a ten state region. In 1983 Marvin returned to help his father in the family business. At the beginning of 1985 he purchased Capital City Oil (CCO) from his father and his partner. 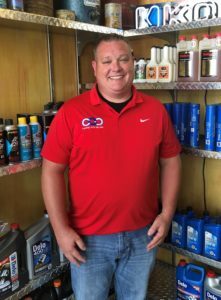 CCO is a full-line petroleum distribution company that caters to commercial, industrial, and ag customers from Kansas City to Salina. Marvin and Debbie have two children. Hunter is 26, and Chloe is 22. Hobbies include golf, snow skiing, bicycling, running and tinkering with old cars. Other civic and community interests include Silver Lake Bank board, John Brown University Board of Trustees and Petroleum Marketers & Convenience Assn. of KS Board. In addition he is the auctioneer for several local charity events. Kyle started in sales for Topeka and Lawrence. He has been an integral part of CCO’s growth for the last 24+ years. His current position is General Manager. His position keeps him involved in making sure CCO is still performing at the level our customers have come to expect. Kyle’s time away from work is spent working on his ranch, woodworking, and fishing with his wife Cathy. Barb is a Kansas native. She is a graduate of Emporia State University. She has worked in Topeka in the oil industry since 1979, and joined Capital City Oil in January of 1990. Barb and her husband Doug were married in 1978 and have one daughter and two grandsons. She served on day care center boards when her daughter was young, served on PTO boards at Gage Elementary and Landon Middle schools, and volunteered at Topeka High School. She is actively involved at West Side Christian Church and serves on the board there. Hobbies include golfing, attending college sporting events, travel, music, and spending time with family. 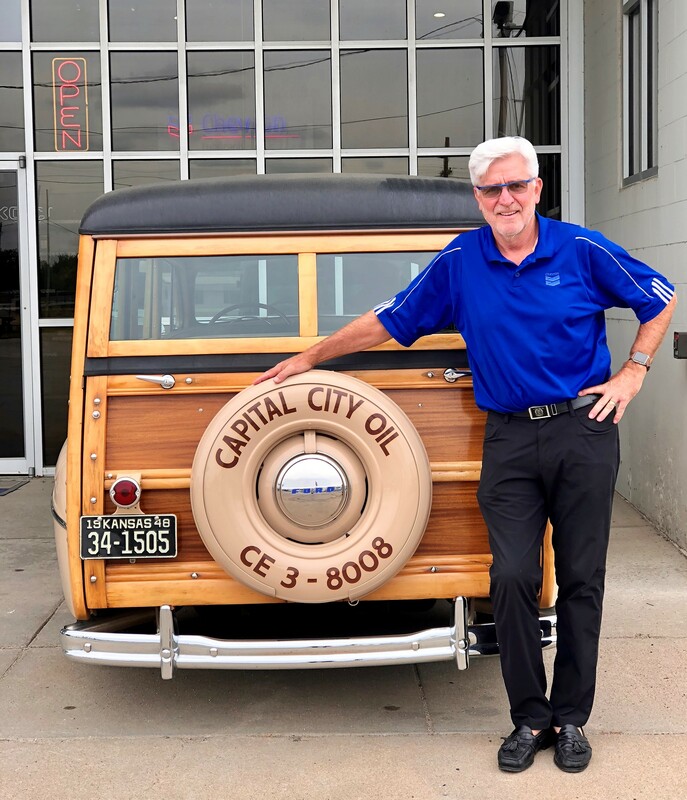 Scott came on board with Capital City Oil almost 14 years ago. He brought with him experience working in the automobile service industry. He has been a huge part in CCO success during his time here. He handles the cities of Topeka and Lawrence and then travels north on 75 Hwy into Holton and west on 24 Hwy into Rossville. When he isn’t working you can find him running/training for triathlons, biking, and cheering on the Kansas State Wildcats. Dennis has been with us for over three years now. He has many years in the food service industry. He handles our inside calls and helps out with walk in traffic. 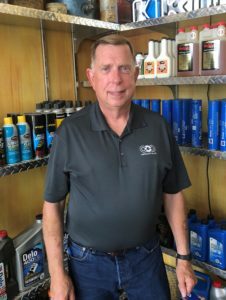 Dennis also is a huge part in our success with Renegade Racing Fuel and offering it to customers. Dennis continues to learn everyday about what we have to offer! When he isn’t working you can find him helping out at his church and keeping up his grandkids! Jennifer primarily covers the Kansas side of our Kansas City market. 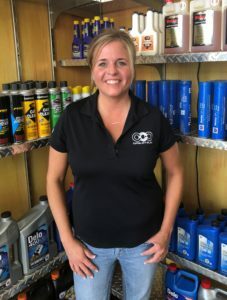 Having over twenty years of experience in the automotive aftermarket and the sales of heavy construction equipment used parts she knows what you need from a supplier. She has seen a lot of broken and damaged parts and can help you identify how to improve your equipment reliability. Jennifer is committed to helping you increase your productivity and profitability. Eric came on with Capital City Oil at the beginning of 2018. He is excited to be helping customers with their oil, gas and lubrication needs. He brings with him over 25 years in the trucking and construction industries. When he is not working you can find him cheering on his kids at the soccer field. He also enjoys cooking, hanging out with his wife and three kids and dogs Rusty and Remington. Dave most recently was hired to manage our sales division of Capital City Oil. After just two years of being with the company he quickly grew our territory west of Topeka. 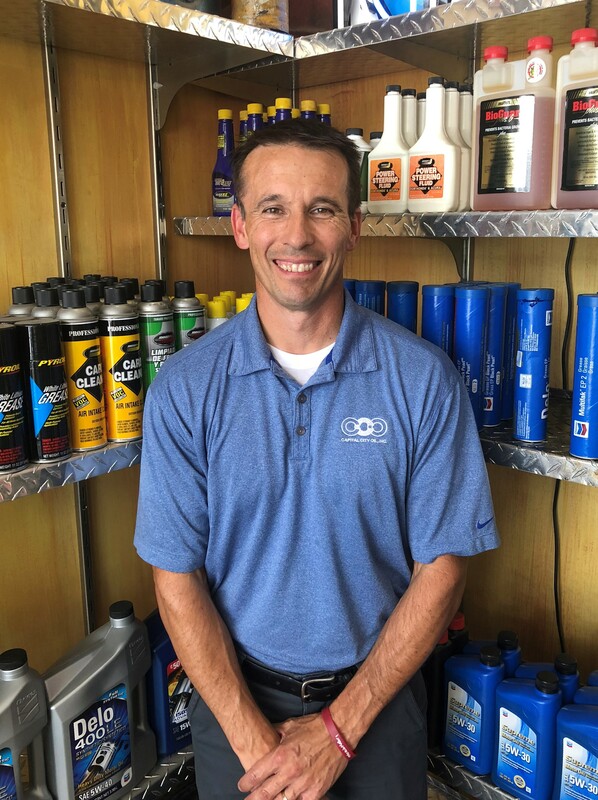 He is committed to his customers and wants to help them reduce operating expenses by proper product application. 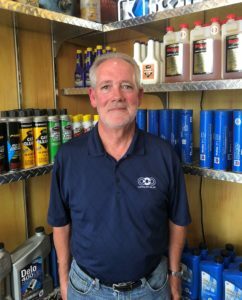 He has over 35 years of experience in industrial and automotive distribution. When he isn’t working you can find him working on his classic cars and volunteering at church. Our experienced and reliable delivery drivers take a lot of pride in being responsible, accommodating, and being on time for every delivery. 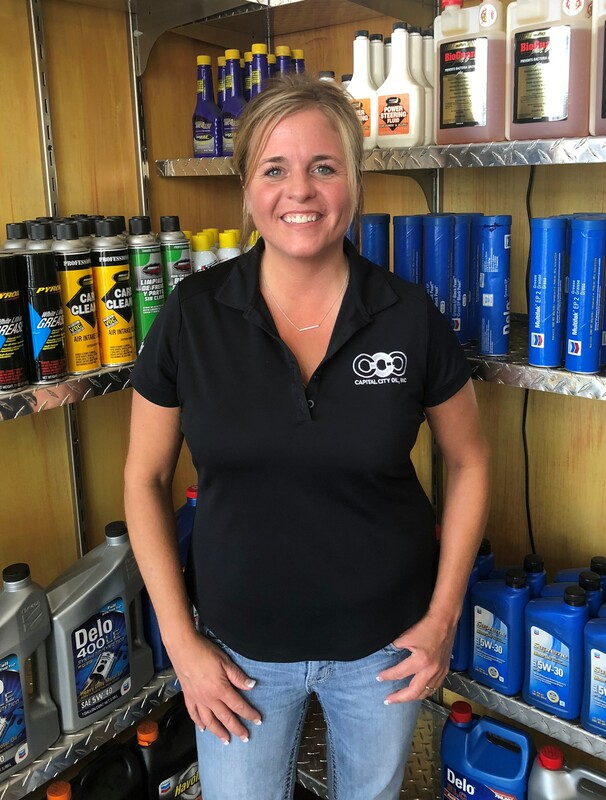 The pride they have in what they do carries over to the relationships with our customers and their ability to always greet each customer with a smile when they pull up to deliver the customer’s fuel or lubricants. Our accessible and accommodating operations team is a happy mix of men and women with varying experience and knowledge. 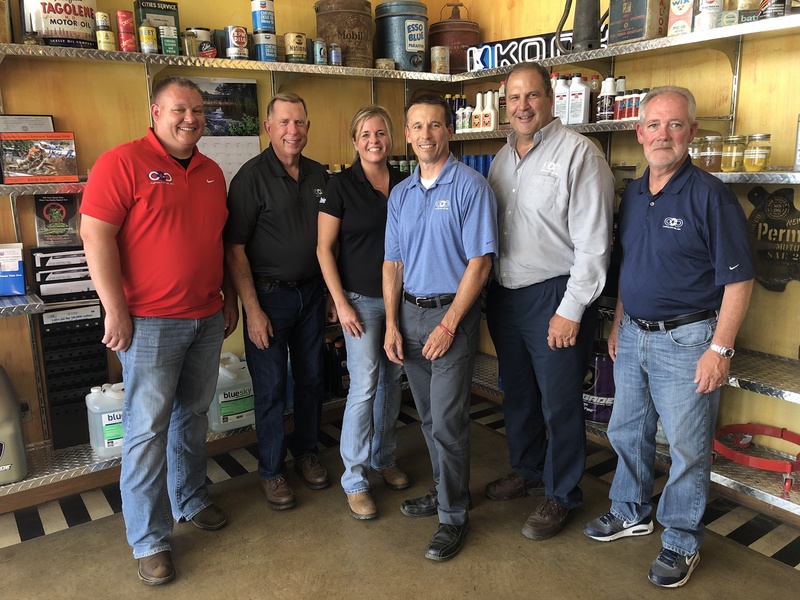 Each of them believes in the importance of providing unmatched customer service, learning about each of our customer’s operations, and being knowledgeable on all the products, service, and tools available to customers. Capital City Oil has been a great business partner for us. 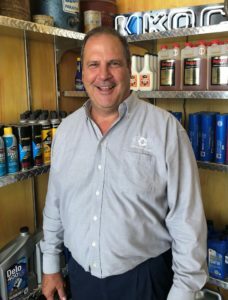 We have grown our oil service business tremendously and could not have happened with their commitment to us. 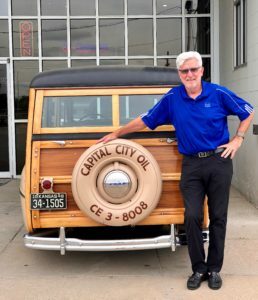 From installation of lines to on time delivery of product, Capital City Oil has been a vendor we can always count on. Having a locally owned and operated business partner has been great asset to us and our community. Marvin Spees, Kyle McNorton, and the Scotts (Scott Hammer & Scott Stapel), have always taken my call when I needed them and have always been quick to help me out. Without the experience and knowledge the following individuals have gained, it would be near impossible for the company to deliver the value our customers have come to expect. We are very proud to honor these individuals for their length of service and daily dedication to our customers. Trust in an experienced team you can consistently count on.